Well, Calvin, today you get your wish (and 15 seconds of fame from DA BG) because today’s History is not about that laid back French Country Life. But about a city. The most famous one in France. (uh..that would be…..Paris?) And about one of it’s most romanticized quartiers – Saint Germain Des Prés. The beautiful and talented Laure Van Ruymbeke who has graced these pages before (as all three of my regular readers will attest) waxes nostalgic over this piece of Parisien soil. 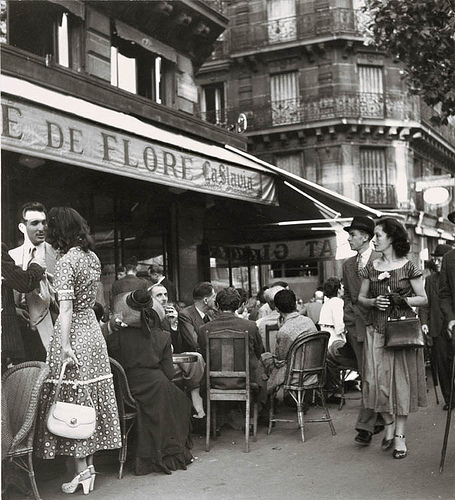 After the Liberation, Saint-Germain-des-Prés became a place for jazz, singing and theatre, and also served as a backdrop to French cinema. Certain well-known figures made the quartier famous, but since the 60s, it has become known as something of a ‘spoiled rich kid’ quarter. 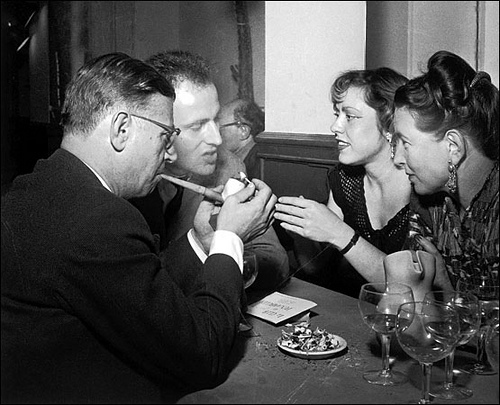 In his ‘Saint-Germain-des-Prés Manual’ (1951), Boris Vian paid homage to a quarter that saw many great literary and artistic minds parade through its streets and cafés (Sartre, Simone de Beauvoir and Simone Signoret, among others). 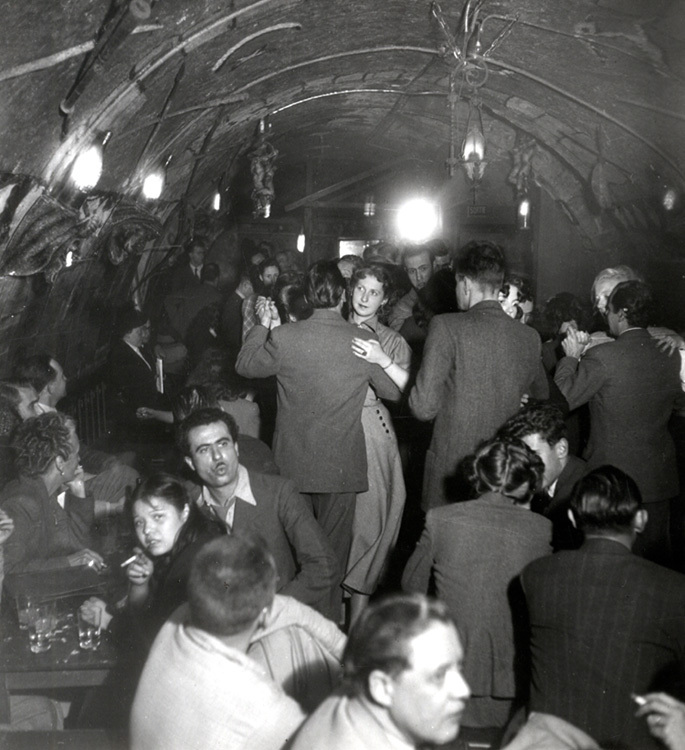 He takes his readers on a page-turning tour through the laneways and “zazou cellars”, where jazz and swing lovers gathered in their bizarre and provocative style during the Vichy period. Vian invites readers to explore the haunts frequented by the night-owls and existentialists, starting with the Tabou, “a sanctuary for the new generation”. This cellar, transformed into a “centre for organised madness”, welcomed musicians, photographers, fashion designers and other regulars, all sharing the desire to party until dawn in a cloud of smoke. However, the Tabou didn’t survive the regular complaints from its neighbours on the rue Dauphine, and closed after a year of crazy antics. Living near Saint-Sulpice, Juliette Gréco was very young when she discovered the charmingly chaotic world of Saint-Germain-des-Prés. She made numerous appearances in theatre before becoming friends with Vian, Sartre and the journalist Anne-Marie Cazalis, as well as other notable figures. Known for her uniform of long black coats, pullovers and pants, she tried her hand at singing ballads. 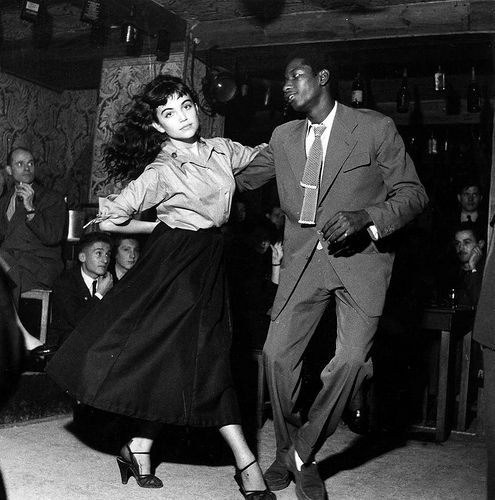 She became a regular at the Tabou, performing songs and engaging in philosophical discussions. Gréco perfectly embodies the spirit of Saint-Germain; the place that inspired and invented her. Right in the very heart of the quarter, she shyly invited the already-famous Serge Gainsbourg to her apartment on the rue de Veneuil, and hesitantly played him her songs. Gainsbourg soon took up residence here as well – at number 5A. Gréco also performed songs by writers that were unknown at the time, such as Brel, Ferré, Guy Béart, Brassens, and poets Queneau, Desnos, Sartre, Prévert, Mauriac. Living each day at a time, she was scandalous to some, and admirable to others. Her life mimicked the transience of the quarter, both intense and ephemeral. Idolised by filmmakers, the quartier was chosen for the backdrop to many cinematic tales. Ten years later, the Saint-Germain of Gréco’s era seemed very far away. In Douchet’s works, Saint-Germain is represented in an ironic manner. In ‘Six in Paris’ (1965), he leads us on a touristic stroll through this quarter that plays with appearances. The opening sequence lets the viewer discover the quarter through its historical monuments; the Ecole des Beaux-Arts, the Institut d’Etude Politiques, and the Institut de France among others. In the 1964 film ‘Nadja in Paris’, Rohmer makes the distinction between these two periods, just as Jacques Baratier does in his documentary, ‘Voilà l’Ordre’ (1996). Baratier shows us the face of Saint-Germain in the 60s: a bohemian quarter gone bourgeois. Artistic authenticity had given way to excess and cultural rebelliousness. not your usual style of post..but very cool…way ta go BG! tom..you should know by now that DA BG is a master of many styles! 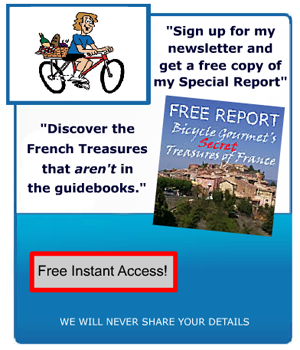 had absolutely no idea about this part of french history….great to learn about it! the black and white photos really nail the atmosphere! 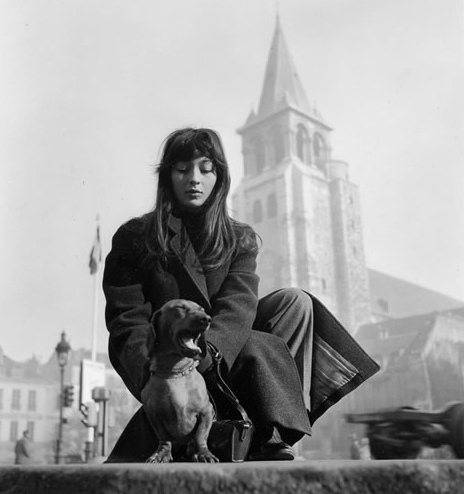 juliette greco is (was?) a bomb. Is she still alive? must be terrible to be an old woman when you were a beautiful young girl with the experiences greco obviously had, don’t you think? well melanie, i thin k you have half a point there; sure, getting old is no fun for anybody…but at least with greco she lived at a great time, lived life to the full and has a lot of great memories. you’re right carl….more great memories than somebody who’s worked in factory all their lives, yeah? you’re totally right on paul! it is a great post….does make you nostalgic for that era doesn’t it? i hear you marisa..but isn’t it easy to be “nostalgic” about any era we’ve never lived through? well observed clarice!..and so true….from our poin of view..we tend to romanticize about things that in other eras were’nt so romantic! lonnie…like the bubonic plague? murderous gay popes? no equality for women? the photos alone are worth the price of admission. hey wilfred….the price of admission is FREE! an excellent post which truly evokes an era. give us more!